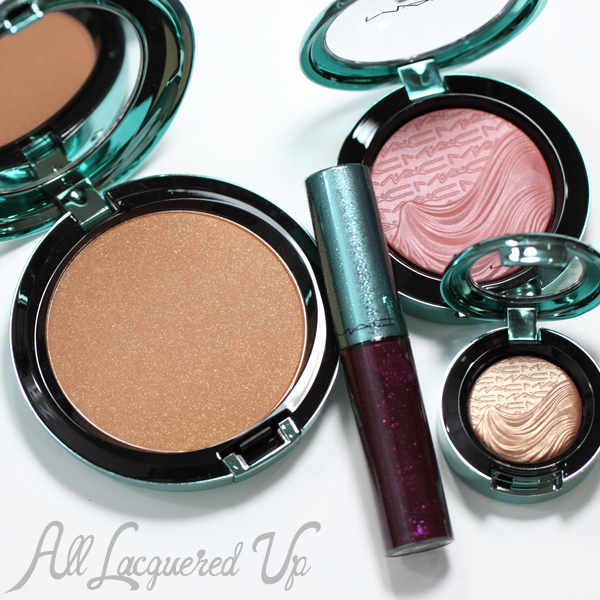 For as long as I’ve been collecting MAC, their summer offerings have always been a favorite. They come in unique packaging with colors and products that are perfect compliments to a faux glow. Lure, Neo Sci-Fi and Hey Sailor! immediately come to mind. I’ve discovered some of my fave summer products in those collections, like Skinsheen Leg Spray and Lustre Drops. 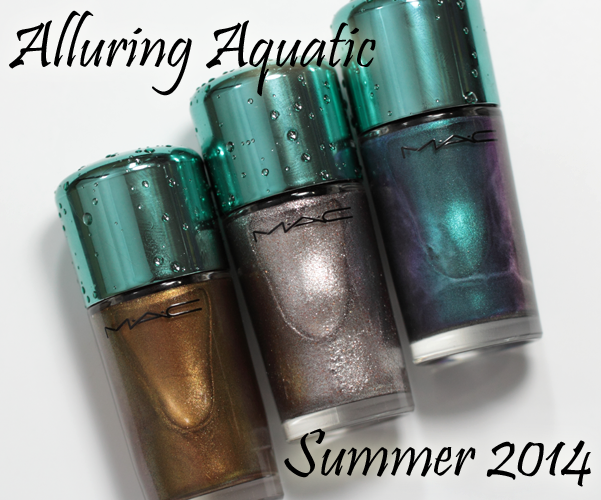 Needless to say, I was looking forward to MAC Alluring Aquatic with bated breath and it did not disappoint. The packaging alone makes it drool-worthy. And the polishes inside are great too! MAC Nail Lacquer is 4-Free (Formaldehyde, Toluene, DBP, Formaldehyde Resin). The tall cylindrical glass bottles are topped with a stocky round cap. Normally the caps are rubberized but in this collection, they are chrome metallic with raised water droplets. Now maybe it’s just me but I swear the MAC brush is different. It’s still short and round but I feel like the bristles are more flexible. The stiff MAC bristles are something I’ve bitched about for years! Normally, they cause me to say that you have to use a light touch to avoid dragging and patchiness but with one slight exception they flowed smoothly on the nail. Submerged is the only problem child as it went on a bit patchy, requiring three coats but the others are smooth and well pigmented only needing two coats. 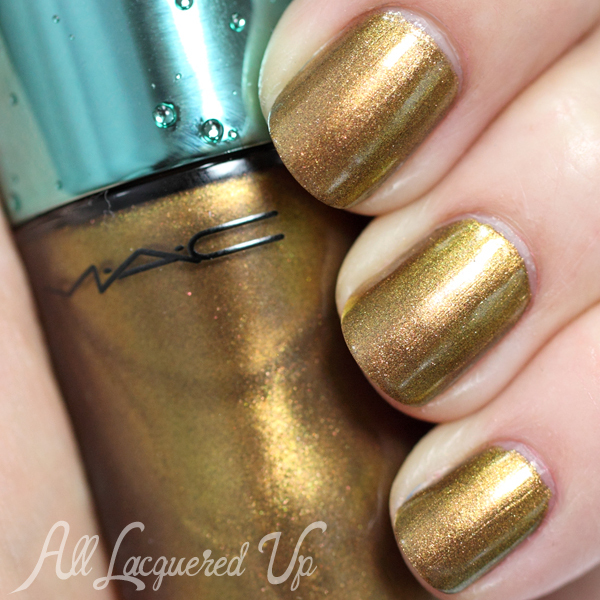 MAC Neptune is a warm, tarnished gold shimmer. I thought I might have to worry about brush stroke issues but by applying it to the outside edges first and finishing with one even stroke down the middle, it’s flawless. 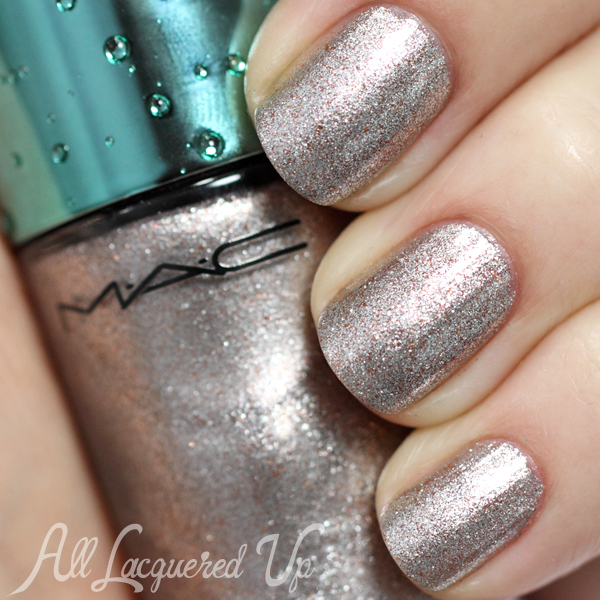 MAC Shimmerfish reminds me of MAC Fierce Entrance, a fave from Holiday 2013. It has that same foil finish with bronze metallic shards only the base color is a cool, pinkish silver. 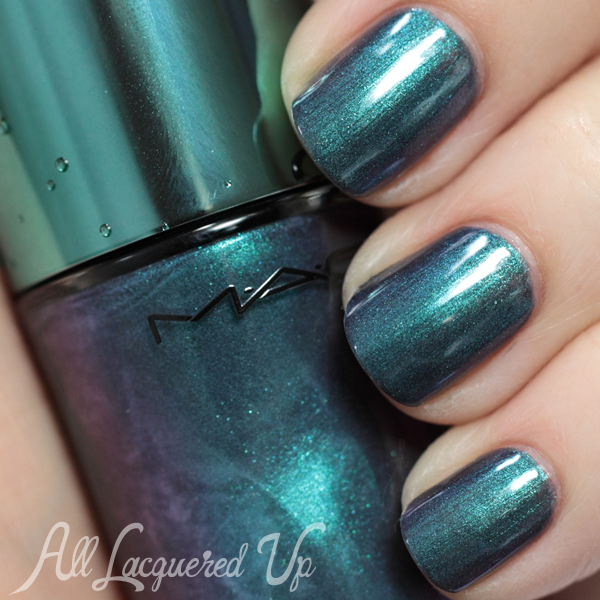 MAC Submerged is a duo-chrome shimmer with a teal base color and cool purple flash. You can see it better in the bottle in the photograph but it shows up on the nail in real life. Alluring Aquatic also includes a range of shadows, lipsticks, lipglasses, blushes, bronzers and more. A few of my fave items are pictured below. Even though Modern Lure Lipglass ($16.50) looks very intense, I’m drawn to its deep purple hue with pink sparkles. 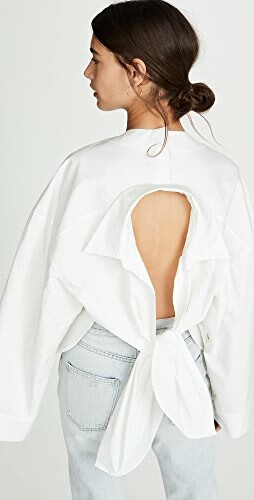 It will be perfect for a night out. Golden tones like Lorelei Extra Dimension Eyeshadow in Lorelei ($19.50) and Bronzing Powder in Golden Refined ($27.50) help me achieve that perfect sun-kissed look while the Extra Dimension Blush in See Me, Hear Me ($27.50) gives me a neutral pink flush. Bottom Line: Summer and holiday is when metallic polishes really shine and you can’t go wrong with any of these shades. 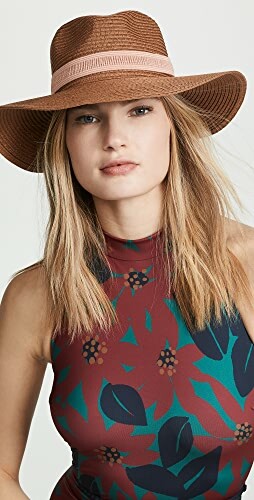 With options for both cool and warm skin tones and a teal thrown in for the non-traditional color lovers, MAC really hit it out of the park with their nail offerings for summer. 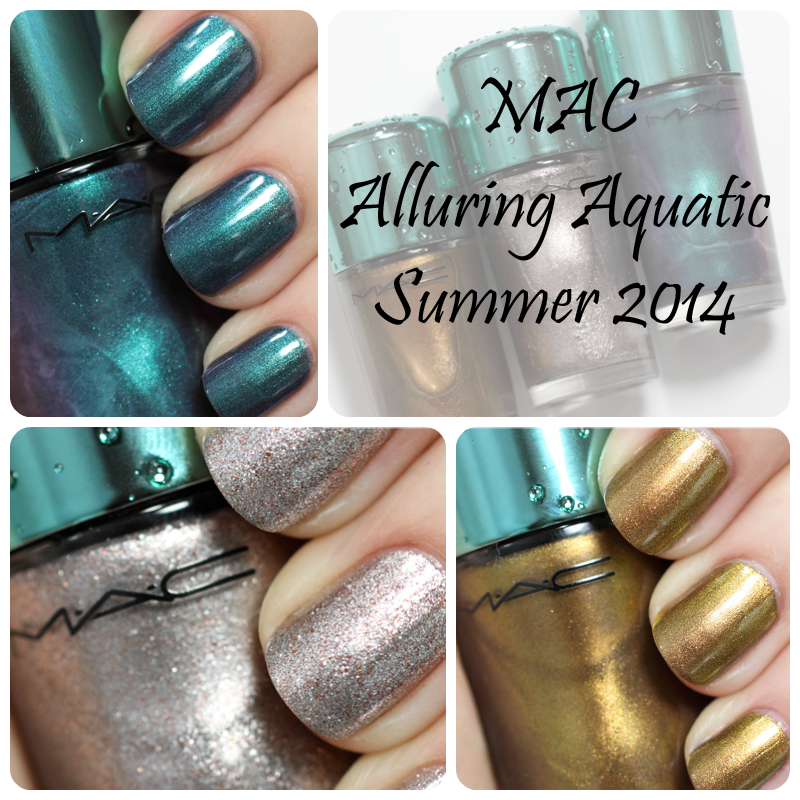 The MAC Alluring Aquatic nail polishes are available now at MAC counters nationwide. Submerged is sold out online but Neptune and Shimmerfish are on MACCosmetics.com. MAC Nail Lacquer retails for $17.50/ea. Which shades from Alluring Aquatic are you loving? Do you get all collectible with MAC LE packaging? Am I the only one who also saves the boxes?? Disclosure: Product samples were provided by reps for MAC. Affiliate links appear in this post. When you purchase through an affiliate link, you help support this site. For more info view my Disclosure Policy. I just love how Submerged looks, it is totally gorgeous! I love the packaging of that blue cap! My favorite out of the three is Shimmerfish! I do too! I’m a sucker for great packaging. I have been told that side affects of the gel nails are softening of your regular nails. I have been using the gel nails for about 2 months now and wonder if I should stop. Hi Jacquelin. It really depends on the person and the skills of the tech applying them. I would look at the condition of your nails the next time you have the gel polish removed. If they seem weaker, you might want to consider taking a break. I know, right? I’m not into pink but I bought the Hello Kitty pink for the packaging. I bought submerged and I love it, even though I know it’s not totally original. I thought about buying Shimmerfish but it looked VERY dupe-y to OPI Designer De Better, so I passed. Ah, I always forget about that color. It is similar to Designer De Better but since that one isn’t available anymore, this is an alternative. As is Sally Hansen Gilty Party. All I can say is *drool*! Lol! 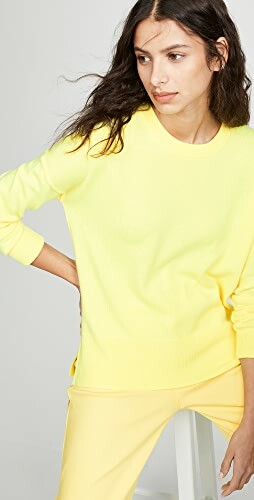 I tried to snag SOMETHING from this line, but it was all sold out (the actual LE shades, anyway) the several times I’ve checked online. MAC kills me with these releases and the (often) terrible communication preceding them. (Not to mention stocking, like 4 of each product at my local MAC counters.) Regardless of my polish-envy (that packaging tho! 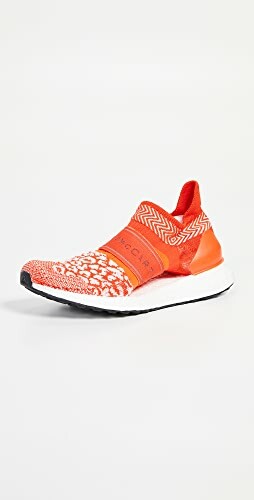 ), these are absolutely stunning. Shimmerfish is so complex! Neptune is definitely more duochrome-y, and Submerged even lovelier, than I had anticipated. I’ll drown my sorrows in my new MAC “Pure Heroine” lipstick, I suppose. Lol! I love that you save the packaging! Haha. I’ve done that too. not crazy about the polishes but i think i need that lipgloss! The lipgloss is gorgeous and I’m not usually a lipgloss person. I stick with lipsticks, crayons and balms. I just got my bottle of Submerged from my local Mac store, and it looks amazing!